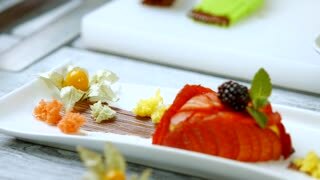 Hand garnishing dessert. Napoleon cake, dried apple slice. Hands quickly break colorful bread. Cooking board with kitchen tools. Strawberry flan on the table. Confectioner in white gloves. Napoleon cake ingredients top view. Hands making dessert, custard. 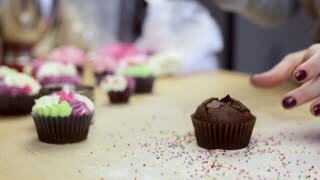 Close-up view of female hands decorating the chocolate cupcake with colored cream, using pastry bag for this. 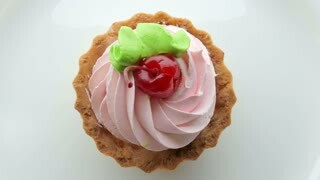 Close-up view of female hands decorating the chocolate cupcake or muffin with pink cream from pastry bag. Pastel de nata, typical pastry from Lisbon - Portugal. Dessert with strawberry and blackberry. Pieces of bread with berries. Flan served at the cafe. Tasty high-calorie dish. Mixing milk with eggs and whipping it in pot. 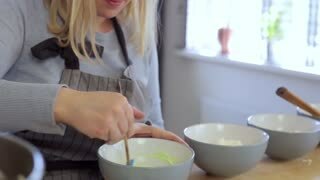 Slow motion video footage of mixing ingredients for cake. 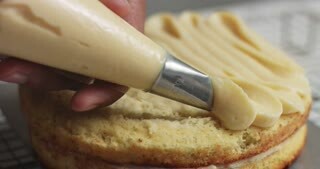 Tongs put raspberries on custard. Bottle squeezes cream on shortcake. 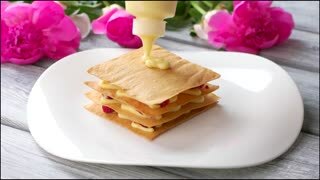 Preparation of french dessert. Millefeuille with berries. Desserts are in the closet in the window. Pasteis de Nata or Portuguese Custard Tarts with black coffee on wooden table. Natural and healthy Chinese dessert, cooked papaya with longan. Lisbon, Portugal. August 24, 2014: The famous Pasteis de Belem – Egg Custard Tart - pastry shop in Lisbon. Clients wait on the street as the shop is always full. 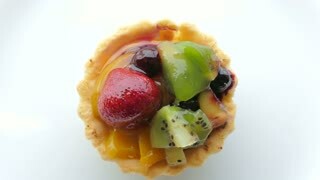 Over 20.000 tarts are sold daily.